My family has lived in our current house for 3 years now, and we had the same boring dining room we had when we moved in. A friend of ours previously had some work done by maestro mouldings so I decided to call them up. 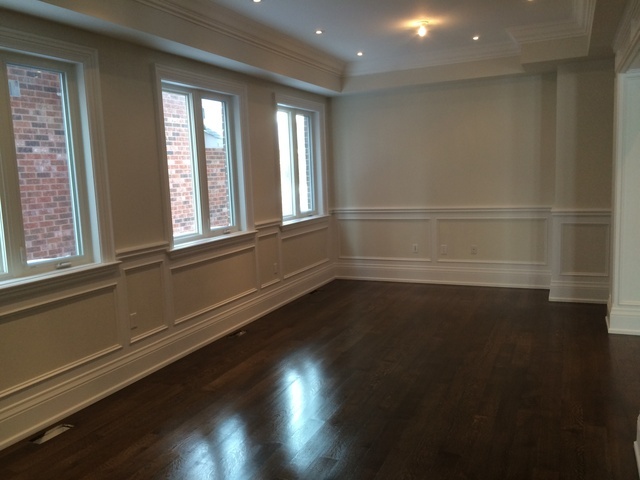 The staff was very friendly and helped us find some crown mouldings that fit our budget. Now that the work is done it looks great, very happy overall. Thank you Johnny. I'm very happy that you happy with work we've done for you. Crown moulding is always brings that special touch to every home. I hope you enjoy it. Thank you again. Me and my wife recently decided it was time to update the look of our home, so we started shopping around for crown moulding. We got quotes from a few companies, but Maestro had the best price. They started the work right away and actually finished in a shorter time than what they had quoted. The work was excellent quality and we could not be happier. Thank you Tim McDonald. We always strive to do our best every time. We are so glad you are satisfied with our workmanship. I'm an old time client of Maestro Mouldings. Having investments in real estate besides full time job, just buying and selling, I had renovated and sold more than 15 homes since I’ve started. In my experience, homes which have had crown moulding finishes are so much easier to sell, and they also sell at a premium! Clients are very impressed by the beauty and class it brings to the property. 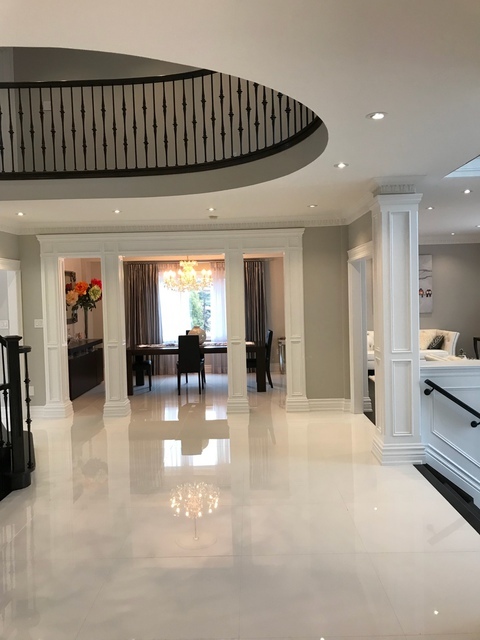 All of the homes which I’ve sold with crown mouldings, Alex has done for me and I can say that the work he does is fabulous. I may even say that he is a sort of a lucky charm J once he is finished with the house, it definitely does not stay on the market for too long! Thank you Alex for the great work you do and I am definitely looking forward to selling more homes thanks to you! Thank you Steven. I am happy to hear that you are completely satisfied with the installation. Customer satisfaction is our number one priority. Thank you again. Right before Christmas, my wife Sara and I, decided to freshen up our home, as we were expecting our large family from Florida to visit us for the holidays. So we focused our attention on painting the walls, and our older son sad he knows one guy who did some renovation for him last year, and may know a great painter. We decided to give it a shot and called Alex. Once he came out to do an estimate and heard that we are looking to surprise our family for Christmas, he proposed an idea of trim work and went over a few options. 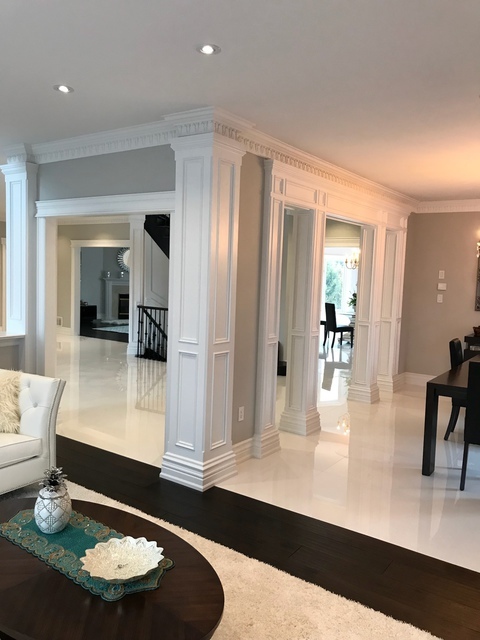 When we decided on painting and installing 7" crown mouldings, we had no idea how dramatic of a change it would make to our 20 year old home! Sara and I felt as if we’ve moved in to a new home, not to mention that our families were totally impressed, and we had an amazing Christmas Eve! We all truly appreciate your work and your kindness Alex. Thank You from Nick and Sara and our big family! It was a pleasure working for you. Thank you for your positive review. We enjoy what we do and always try to find an individual approach to every project. Thank you again, Nick . Alex installed crown mouldings and baseboards in my home. It was done quickly, professionally and I must say it looks fantastic! I get compliments on how rich my home looks, every time I have guests over. I referred Maestro Mouldings to all my friends! Alex, is a nice and easy guy to work with. Very flexible! Thank you, and all the best to you in your business! Thank you Elena for your valuable time and positive review. I am a professional and I take my job very seriously. I am happy that you are happy and satisfied with the results. I look forward to working with you again. I been dealing with Maestro Mouldings, Alex, for a long time. First he did my own house, then i hired him for my parents place, he did most of my friends houses. 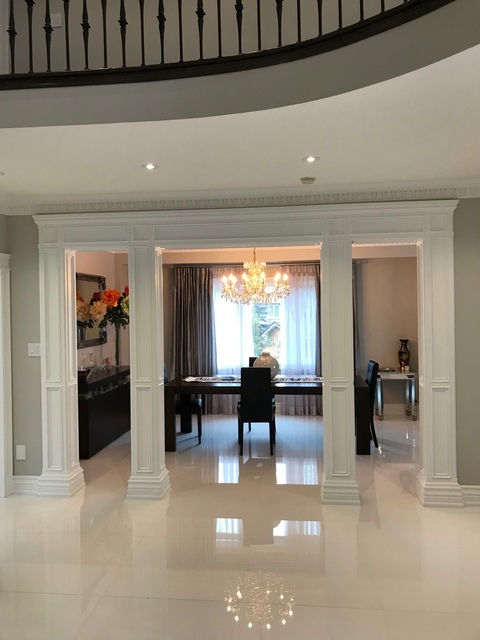 Now im involved in custom homes business, all my mouldings only done by Maestro Mouldings! He truly does a great job! Dear Jamil, thank you so much for your positive review. I look forward to meeting with you and doing business with you once again. We have been dealing with Alex for a number of years. Every project was successful, on time and detailed. Alex and his crew are very professional, reliable and trustworthy. We recommend them to our friends. Thank you Natalia for your review. I am very happy that you are satisfied with our work. I Look forward to working with you on your next project. As a real estate agent, I have seen many crown moulding jobs in my career. Alex's work is absolutely standing out. I can definitely describe his job in 3 words: elegant, detailed and clean. Actually he almost did all the projects for my families and friends. I am really happy with what he has done and wish him every success with his business and career! Thank you Shelley for your worm review. It's pleasure to work with people like you and your family. I am very pleased that you are happy with my workmanship. I look forward to seeing you again. Thank you for referring me to anyone you know.